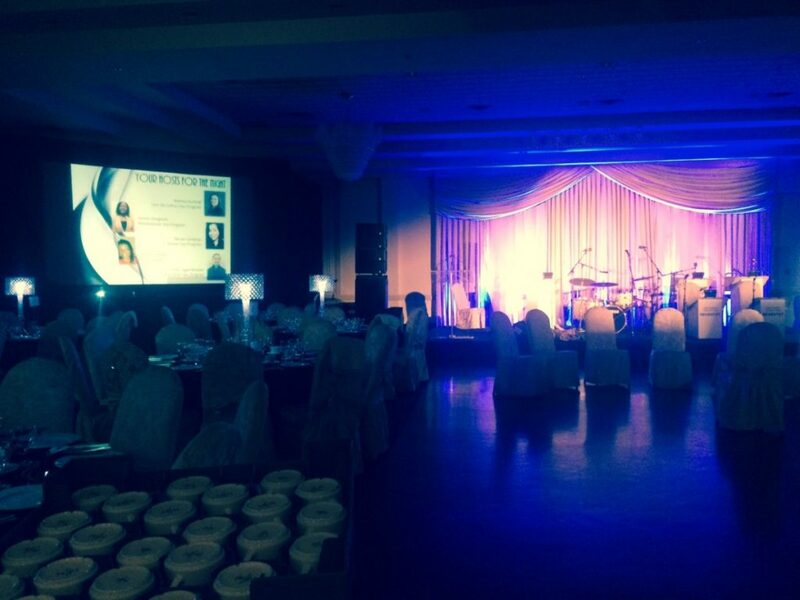 On Friday, January 23rd we supplied production for the Alzheimer Society of Peel’s 2015 Forget-Me-Not, Black and White Ball at the Mississauga Grand Bouquet and Convention Centre. This annual Gala is hosted by Alzheimer Society Peel stars, staff and volunteers to help find the cause, prevention and cure of Alzheimer’s and Dementia Care. The evening featured performances by Frank Sinatra, Dean Martin and Marilyn Monroe look-a-likes along with Anthony Terpstra’s Seventet Orchestra and singers, ballroom dancers and both a live and silent auction. We are proud to have been a production sponsor of this event and supply ground supported audio, stagewash and LED décor lighting along with video production.